First things first-we only use raw goat milk when available, if not we use store bought with Emma. The proteins in cows milk are just too much for the belly and the dairy attributes to so many congestion problems. You will not find a lot of medical people that will agree that milk = congestion, nor will you find studies that support it but I am here to tell you...when your child is miserable you will try anything and when we keep dairy out of Emma's diet, congestion and reflux are not an issue. 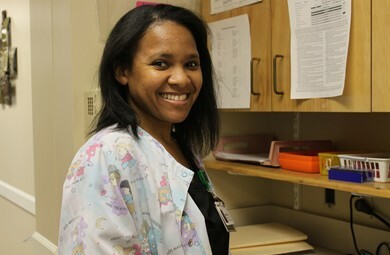 Our genetic doctors at Arkansas Children's Hospital also agree that eliminating dairy when congestion is an issue is the first step. Not to mention the health benefits of goat milk greatly out weigh those of cow's milk. Keeping Emma's nose clear of congestion has created a child that breaths through her nose and not her mouth. There are so many pieces to our puzzle, some small and some big...this is a big part of our equation to success. Next is flax seed oil for a variety of reasons. First, flax is a great source of fiber. Most Americans do not get enough fiber in their diet. Each tablespoon of flax contains about 8 grams of fiber. This helps keep the bowels regular. Make sure that it has the "press date" shown to insure freshness. Bernard Jensen's Rice Bran Complex is next on the list. Rice bran complex is a concentrated combination of B-Vitamins which is easily absorbed into the body. These B-Vitamins work together to create a synergy to aid the conversion of food into energy, as well as help the nervous system recover from the effects of physical stress. Each serving (15 ml) has 3 mg of Thiamin (B1), 187 mcg of Riboflavin (B-2), 53 mg of Niacin (B-3) and 50 mcg of Pryidoxine (B6). I give Emma 5 ml with AM, Noon and PM cup of milk. Then there is Bernard Jensen Black Cherry Concentrate Extra Quality. It is thick, rich, and a good source of iron. It is made from the entire fruit including the skin and pit and it may be used as a sweetener. Although native to North America, wild cherry trees now grow in many other countries. The bark of the wild cherry tree is used for medicinal preparations. Wild cherry syrup has been used traditionally by herbalists to treat coughs and other lung problems. It has also been used to treat diarrhea and to relieve pain. Wild cherry tincture or syrup is sometimes recommended for coughs. Then there is Liquid Vitamin C. The whole family gets extra Vitamin C every day and Emma is no exception. Vitamin C is one of the safest and most effective nutrients, experts say. It may not be the cure for the common cold (though it's thought to help prevent more serious complications). But the benefits of vitamin C may include protection against immune system deficiencies, cardiovascular disease, prenatal health problems, eye disease, and even skin wrinkling. 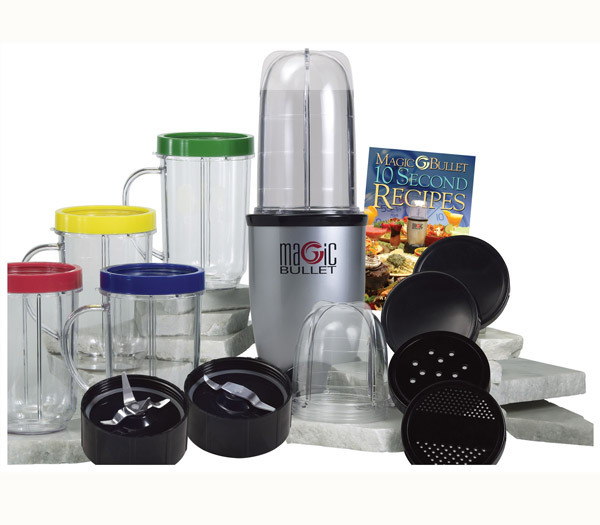 servings of fruits and vegetables. taking 500 milligrams daily is safe," he says. that everyone in the family supplements. We also supplement it higher than the RDA recommendation. Especially during the winter months. vitamin D to make sure you're getting your daily dose! Vitamin D is actually produced in your body when ultraviolet rays from sunlight strike your skin. The UV rays trigger synthesis of vitamin D, which then gets converted in your liver into its active form. punch for bone strength. Milk contains a good amount of calcium and the additional vitamin D to ensure that your body absorbs all that calcium. So exactly how much Vitamin D should you aim for each day? For all ages, Dr. Oz recommends a daily dose of 400 IU (and perhaps even as high as 1000 IU). Chad and I take 2000 IU and the kids are closer to the 1000 IU mark. 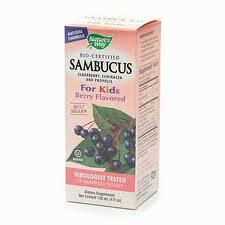 Sambucus Elderberry, Echinacea and Propolis for Kids is next. Elderberry is used for “the flu” (influenza), H1N1 "swine" flu, HIV/AIDS, and boosting the immune system. It is also used for sinus pain, back and leg pain (sciatica), nerve pain (neuralgia), and chronic fatigue syndrome (CFS) . Some people use elderberry for hay fever (allergic rhinitis), cancer, as a laxative for constipation, to increase urine flow, and to cause sweating. Then of course we use Children's DHA. DHA is required in high levels by the brain and retina as an essential nutrient to provide for optimal neuronal functioning (learning ability, mental development) and visual acuity. Studies have been done on children with autism and with other developmental differences, and the results showed that after 3 months of taking DHA & EPA, there was a 6 month improvement in reading and spelling levels, as well as significant behavioral improvements. DHA is another one the whole family supplements. DHA is important for brain and eye development and function throughout the life stages, but is particularly important during the first two years of life and early childhood. Between birth and five years of age, the human brain increases approximately 3.5 times in mass. During this time it is important that children consume adequate amounts of DHA in their diet to support this period of rapid brain and eye growth and development. Recently published research suggests that for children ages 7-9, who are under performing in reading showed improvement after adding DHA to their diet. A healthy diet that achieves 600 mg of DHA daily may support improvements in reading, memory and behavior. 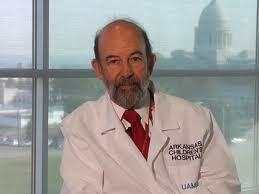 American children consume an average of only 30 to 50mg of DHA per day. It’s no surprise that children consume less than optimal levels of DHA. Foods that naturally contain DHA are limited to organ meats and fatty fish, which are not commonly consumed by young children. In addition, picky and unbalanced eating habits, food allergies and a recent FDA warning for young children to limit consumption of certain types of fish due to concerns over high levels of mercury, make it difficult for parents to ensure their children are obtaining optimal levels of DHA. Fortunately, as awareness of the importance of DHA continues to grow, more attention is being paid to the fact that young children may benefit from getting more DHA in their diets. A growing awareness of the dietary sources of DHA and the inclusion of DHA into follow-on formulas and certain fortified foods are making it easier for people of all ages, including young children, to obtain this important nutrient from their daily diets. A fairly new one on our list is Black Cumin Seed Oil. Black cumin is a part of the buttercup family and the seeds are dark, thin, and crescent-shaped when whole. The seeds have been used for many centuries in the Middle East, the Mediterranean and India. Today, black cumin seeds are used as a seasoning spice in different cuisines across the world due to their nutty flavor. Besides their culinary uses, black cumin seeds also have a wealth of important health benefits and are one of the most cherished medicinal seeds in history. The seeds of the black cumin plant contain over 100 chemical compounds, including some yet to be identified. In addition to what is believed to be the primary active ingredient, crystalline nigellone, black cumin seeds contain: thymoquinone, beta sitosterol, myristic acid, palmitic acid, palmitoleic acid, stearic acid, oleic acid, linoleic acid, linolenic acid, arachidonic acid, protein, vitamin B1, vitamin B2, vitamin B3, folic acid, calcium, iron, copper, zinc, and phosphorous. Black cumin seeds have a particularly long and strong history of use in Egypt. When archaeologists found and examined the tomb of Egyptian boy-king Tutankhamen (King Tut), they found a bottle of black cumin oil, which suggested that it was believed to be needed in the afterlife. Physicians to the Egyptian pharaohs frequently used the seeds after extravagant feasts to calm upset stomachs. They also used the seeds to treat headaches, toothaches, colds, and infections. Queen Nefertiti, renowned for her stunning beauty, used black seed oil, likely due to its abilities to strengthen and bring luster to hair and nails. Hundreds of studies have been conducted on black cumin which have shown that compounds from the seeds help fight diseases by boosting the production of bone marrow, natural interferon, and immune cells. Several of the studies have shown that black cumin seed extract could assist individuals with autoimmune disorders and could possibly help to fight cancer. One recent study on black cumin seed oil demonstrated that it was effective against pancreatic cancer, one of the deadliest and most difficult to treat cancers. The process of cooking eggs destroy the very goodness that our bodies so desperately need as the nature of proteins and fats is altered when exposed to heat. When cooked, the egg protein changes its chemical shape; it is often this process that can be the cause of allergies. Generally when eating raw eggs, any incidence of egg allergy will disappear. Surprisingly, in spite of ‘bad press’ raw eggs, organic or at least from a known source of healthy free-range chickens, are an excellent health tonic. The regular consumption of raw eggs will do wonders for your overall health. Exceptionally easy to digest, raw eggs provide a wonderful boost to the immune system, and a completely balanced nutritional package. A good immune system is one of several things the body needs to overcome cancer. Many people’s diets are deficient in high quality proteins and fats, and eggs are one the very best sources of these. Raw eggs have many benefits, they contain essential nutrients for the brain, nerves, glands and hormones, they are nutritionally balanced, and we highly recommend the addition of raw eggs to your nutritional program. The sulphur amino acids help to keep you young, raw eggs also contain an abundance of other vital substances including protein, essential fatty acids along with niacin, riboflavin, biotin, choline, vitamins A, D and E, magnesium, potassium, phosphorous, manganese, iron, iodine, copper, zinc and sulphur. Egg yolks are one of the few foods that contain vitamin D.
Poisoning from salmonella has been exaggerated in the past. A study by the U.S. Department of Agriculture in 2002 indicated that only 2.3 million, of the 69 billion eggs produced annually, are contaminated with salmonella. In other words 0.003% or 1 in every 30,000 eggs. The bulk of these come from battery chicken eggs and chickens kept in unhealthy conditions - only sick chickens lay salmonella contaminated eggs. If only healthy chicken eggs (organic and free range ideally) are consumed, then far less than one in 30,000 eggs are contaminated. Salmonella is a common micro-organism found almost everywhere, and is just as likely, or more likely, to proliferate on cooked food kept in the fridge. Infection is normally mild gastric symptoms, but in rare cases where the immune system is very low such in the elderly who have had much anti-biotic use, and the source is greatly contaminated, death can result. But such a person is highly likely to contract one of many common micro-organisms and die from that. To give some perspective, in the highly unusual situation of contracting Salmonella, in a healthy person, an infection is nothing to worry about and is easily treated with high quality pro-biotics every half an hour until you feel better. Now I know that it seems overwhelming but it is not. 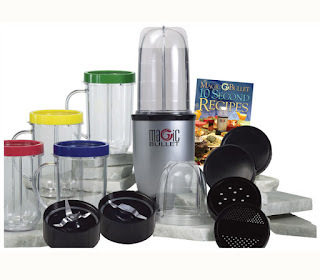 I mix it up the night before and put it in our magic bullet (my favorite thing in our kitchen). I keep a laminated index card that has the ingredients to different things that I make for the family. I have Emma's milk, our smoothies and thermocereal. Each night I make Emma's milk and our smoothies and put them in the refrigerator. When we wake up in the morning all we have to do is blend and off we go. Please know that this is what WE do. There are some things that I do with Emma that Robin does not do with Presley and vice versa. All of our children are individuals and need different things. This, in my opinion, is what Emma needs. I have discussed this with her doctors and nutritionist and they too agree with her diet-every part of it. They may not all promote this diet for everyone, but support this diet for what it is...Emma's diet. Please research what is right for YOUR child. Below is a break down of the cost of each item. Bernard Jensen Rice Bran Syrup is around $13.00 for 16 oz. (473 ml). I give Emma 15 ml per day so it will last around 1 month. 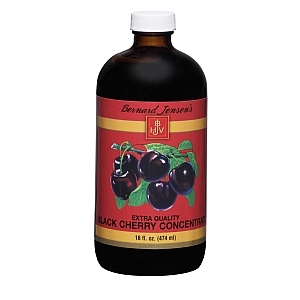 Bernard Jensen Black Cherry Concentrate is around $16.00 for 16 oz. (473 ml). I give Emma 15 ml per day so it will last around 1 month. 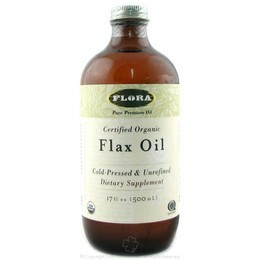 Flax Seed Oil is around $17.00 for 16 oz. I give Emma 5 ml per day so it will last close to 3 months. 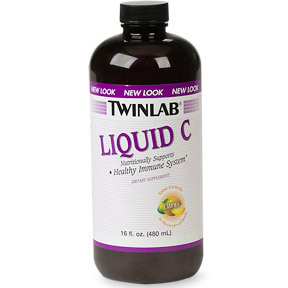 Liquid C is $5.00 for 8 oz. (237 ml) and I give Emma 5 ml per day so it will last around 1 1/2 month. 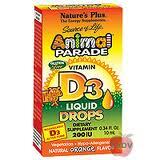 Vitamin D is around $9.00 for .34 oz. Emma gets 4 drops in her milk each day so it too will last me 3 months. 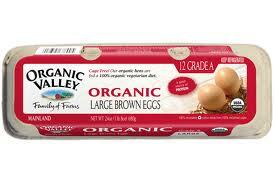 The Organic Valley Eggs run around $3.50 for a dozen so that breaks out to about $.29 per egg which equals $8.50 per month. The Sambucus is between $10.00-$15.00 depending on where you get it. I will split the difference to be fair so we will say $12.50 for 8 oz. Emma gets 5 ml per day so it to will last about 1 1/2 month. 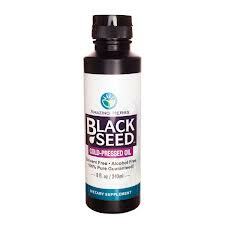 Black Seed Oil is $18.00 for 8 oz. but I only put a squirt of it in. I am on my first bottle but it will probably last well into 6 months. 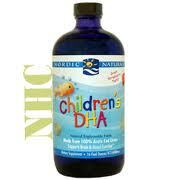 Children's DHA is $35.00 for 16 oz. and Emma gets about 5 ml of it every day so it will last a little over 3 months. That puts our average monthly cost for this item at $53.00 plus the cost of the milk. The milk would be an expense regardless. I only took 1/3 of the cost of the Bernard Jensen products for sake of figuring the cost of this particular serving of milk. Emmalin has 3 items in her diet that our essential and this is one of them. But like I said before...this is what works for us. Emma is currently 19 months old, 25 lbs and a little over 31 inches long. She had her heart surgery at 3 1/2 months and we have battled thyroid problems since before her surgery. 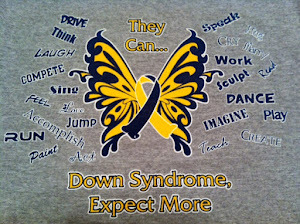 Our little Down syndrome darlings tend to be so small and sickly. Emma's success with her growth and her continued days of being healthy I attribute to her overall diet. I have only taken Emma to the doctor two times for what I considered a "sickness" and it turned out to be the common cold. There was not a fever associated with either time, I am just overly cautious this year with everything that is going around. Also, please remember that I have been giving Emma some crazy mixtures all along so she does not mind all of this mixed together. When she starts turning her nose up I will have to readjust, but it works for now. I really want to take the time to thank some people that have greatly influenced me and who continue to guide me down a road that many physicians refuse to travel. Dr. Julian Neil, Dr. Jane Miers, Dr. Steven Kahler and Robin Tolliver are incredibly kind souls who continually help me to do what is best for Emma. They listen to my concerns and suggestions and I listen to their guidance. They help me monitor her lab work and we adjust her diet accordingly. Emma's diet will be changed over the course of time depending on what her body needs and I am confident in knowing that she is in great hands. My daughter will be all that she can be with people like this in our lives. Thank you Jesus for guiding all of us through our journey.